Hi there! 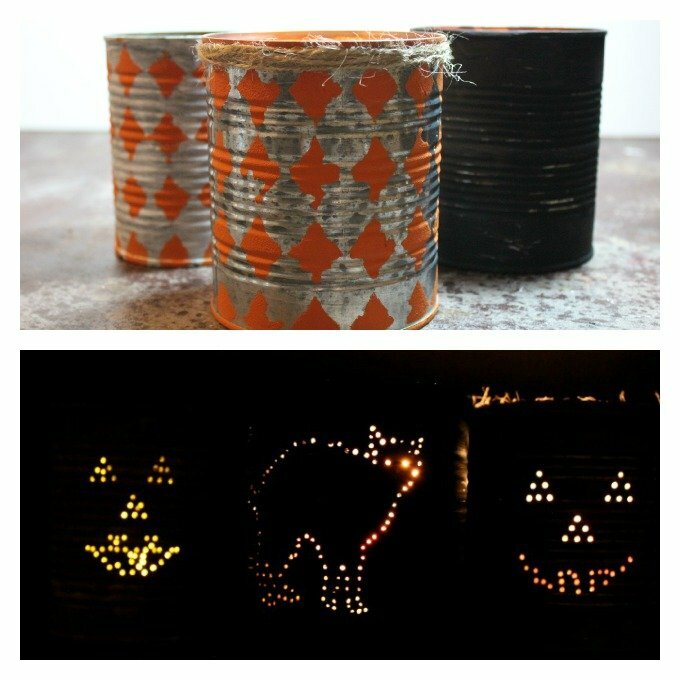 I’m Jessa and I blog over at Sparkle and I’m so thrilled to be here today to share a spooky Halloween craft with you. Well, maybe it’s not that spooky (my own little monsters aren’t big fans of spookiness!) 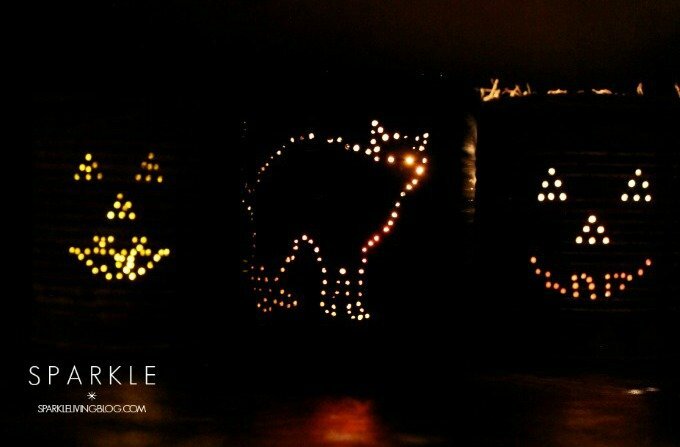 The best part about these candles are that they are cute during the day, then spooky at night! 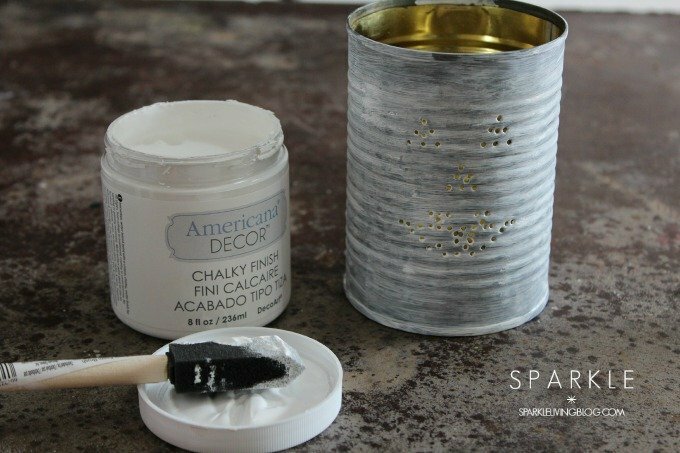 This craft combines two of my favorite supplies…chalky paint and stencils! Let’s get started! Fill the empty can with water and put in freezer until it’s completely frozen. (If the bottom of the can pops out don’t worry, you can just hammer it back in after the ice is out The ice makes it so much easier to punch holes into the can. 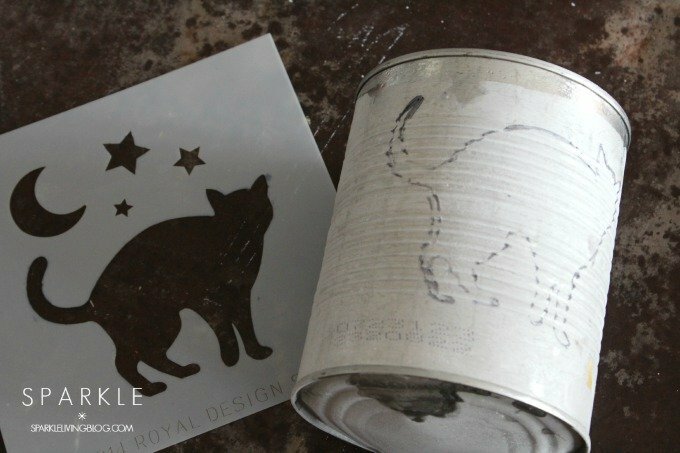 If you have a stencil or an outline that you need to trace, do it with a sharpie or other permanent pen. The ink ends up coming off when the ice melts anyhow. 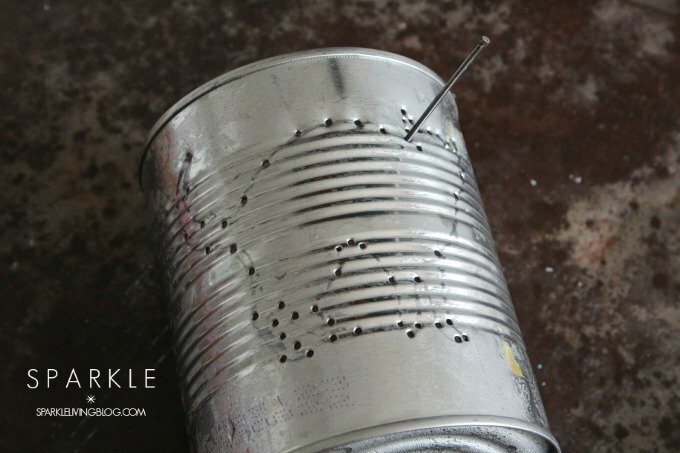 Once the holes are punched and you like your image, run the can under some warm water to get the ice inside melted. Now is the time to hammer the bottom of the can back into place. Dry off the can and prep it for painting. Now go ahead and paint the can with the chalky paint and the sponge brush. If paint gets into the little holes you punched, use a pin to get the paint out. It’s better to do this before the paint dries. If you are doing an allover stencil (like my Distressed Harlequin one) then make sure the can is really dry and tape the stencil in place, then dab it with the sponge brush and the paint. 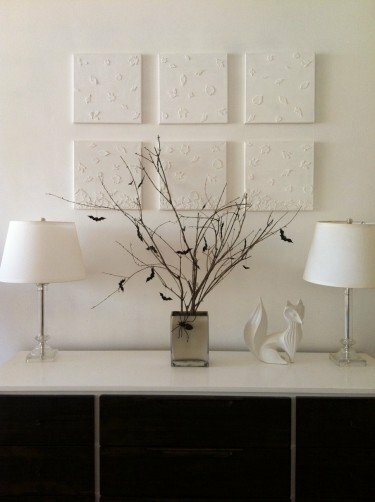 Once your paint is dry, rub ithe can in spots with the sand paper to distress it. Now find your favorite Pumpkin Spice flavored candle and enjoy the fall! PS! 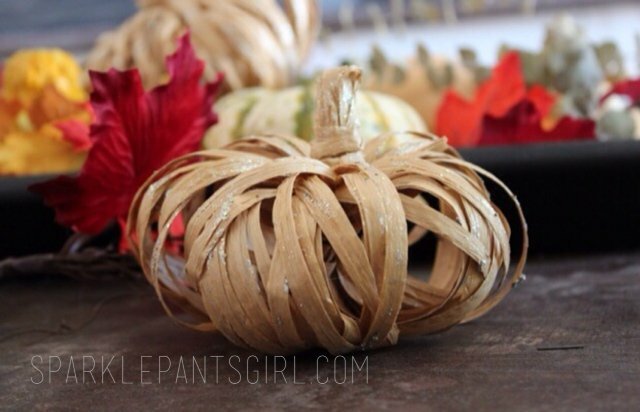 I hope you enjoyed this Halloween craft. 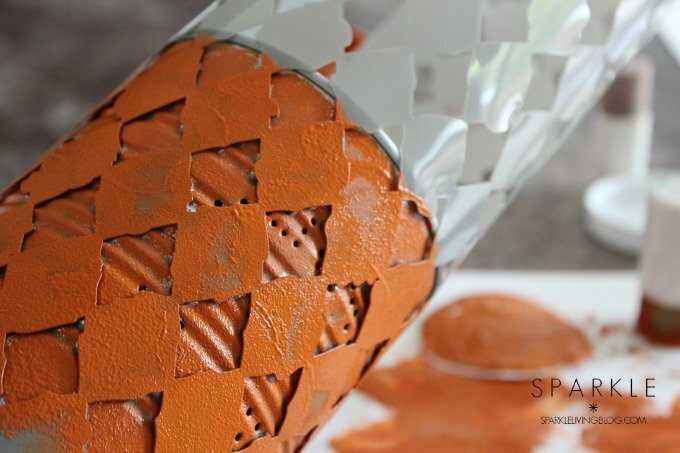 Come by and check out my DIY, craft and lifestyle blog Sparkle! I have a passion for taking everyday items and making them awesome. If I’m not crafting, cooking or hanging out with my kids, I’m probably at work as a nurse in a busy ER. There’s never a dull moment in my world, and I try to celebrate the craziness as much as possible!